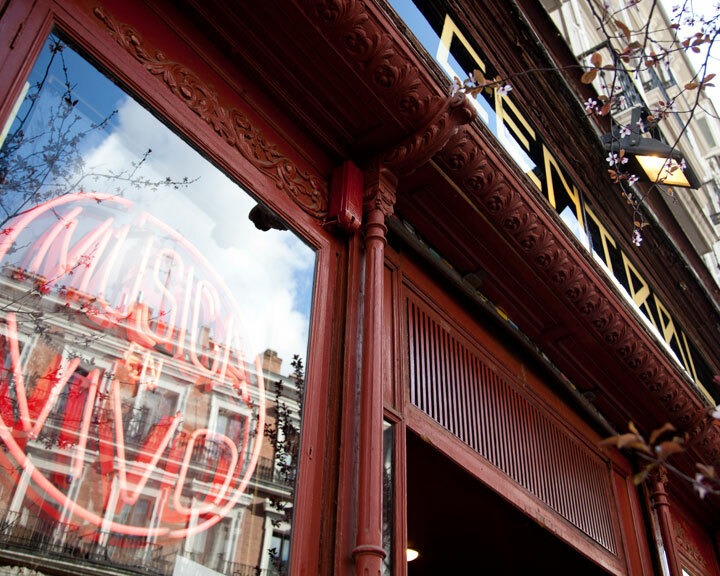 Legendary Jazz bar Café Central (Madrid) threatened by closure if they don’t win their case for a further 5 years of rent freeze. One of the lucky Ley Boyer survivors. Smaller businesses are being forced to close as landlords raise commercial property rents resulting from the 20 year ‘Ley Boyer’ ending on January 1st 2015. The law introduced in 1994 protected businesses whose lease had begun before 1985, exempting them from rent increases for 20 years (inflation-linked). This gave many family businesses the opportunity to continue operations in an often difficult environment, and avoided large rent increases established by the market that only large corporations could afford. Thought to affect approximately 200,000 business – mostly shops, bars and workshops – the character and village-like feel of many of Spain’s cities is changing dramatically as businesses face tough rent hikes menaced to reach market value of 5 to 10 times the current rents. Reported increases for example on Calle Serrano, Madrid, have soared from €1,500 a month to €30,000 a month, or the Gran Via 72 year old toy shop Asi had been paying €10,000 and were then asked for €50,000 a month. Impossible to operate under these terms, the doors are closing for many family-run businesses. Landlords eager to recoup the market rate of their properties’ rents cannot be faulted, while a handful of landlords have negotiated slightly higher but affordable rents to keep the cultural value of the businesses. Other businesses have discovered loopholes to exploit in the Ley Boyer, or “Ley de Arrendamientos Urbanos de 1994” such as the legendary Cafe Central Jazz bar who have been paying €5,000 a month and should now be paying €12,000 according to market value – however they have found that businesses transferred to a third party between 1984 and 1994 can have an additional 5 years of fixed rent. But the owner does not agree and their sad story will likely finish at the courts. The end of this protective law ties in nicely with many business owners’ retirement plans but whilst they had 20 years to prepare for the rent hikes, the changing landscape of Spanish cities often characterised by a mix of unique, family-run, charming small businesses, next to chain stores, needs the deep-pocketed stores and restaurant chains to make an effort to maintain a personal feel and not create a city of cookie cutter shop fronts. 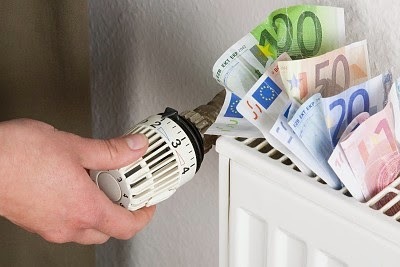 According to the ministry of Industry, Energy and Tourism’s report on Spain’s energy pricing, electricity prices are falling : 4.9% less than 2013 which was 3.7% less than 2012, however gas prices remain high – 0.5% more than 2013 however are due to fall by 3% from Jan 2015 thanks to falling petrol prices. With energy bills hiking up during the winter months, we could all do with some help keeping our homes more energy efficient this winter. Smarter homes controlled and monitored by apps are becoming more ubiquitous allowing home-owners to really identify where they can cut down the energy bill. Follow these 10 tips to help reduce your energy costs this winter for a more energy-efficient home. 1. If you have central heating, ensure your thermostat is around 21C or 15-17 at night, and invest in a programmable thermostat with a timer – lowering the temperature 10-15 degrees for eight hours while you’re not at home or are asleep will maintain warmth and save you money. Open the windows for 10 minutes every morning for ventilation then shut everything! Keep warm with jumpers, friends in the home, good food and extra blankets at night rather than a constant high temperature on the thermostat. Ensure the boiler is insulated and that maintenance is up to date to ensure it’s running efficiently. INVEST in a smart home system you can monitor and regulate through apps, including individual radiator thermostats. 2. Seek out draughts and block them up – plugging up the leaks can save up to 10% in energy costs. Look particularly at door thresholds and window edges but also around pipes in exterior walls that may be poorly sealed, using an incense stick if necessary to identify the draughty culprits. Close doors to rooms with ventilation slats at night. Windows account for 25% of heat loss in homes but by covering them with cling film you will reduce your heating bills by 14%. INVEST in large rugs for the winter months for your wooden floors. 3. Make the most of the Spanish morning sun and let the heat in – opening the persianas for the sunshine hours and closing blinds and curtains as night time sets in it will reduce heat loss by 10%. 4. Minimise shower time – showers account for 2/3 of water heating costs so try not to linger too long in the steam however tempting! Additionally, aim to replace shower heads and INVEST in slow flow ones to reduce water waste – this could reduce your water bills by 10-15%. 5. Toilets use 30% of the average households’ indoor water supply. Adding a small bottle filled with sand or water to the toilet tank above the half fill line will save you hundreds of litres of water a year. Even better, INVEST and upgrade to a more water efficient toilet. 6. Scrape rather than pre-rinse plates before loading the dishwasher, and always ensure the dishwasher and washing machines are fully loaded before starting the cycle to maximise efficiencies. 7. Use multi power supply extensions with individual power switches to avoid energy wastage as you can switch off completely the appliances you aren’t using. 8. Lights make up 20% of your total energy usage. Use clean energy efficient light bulbs – they last 10 times longer than incandescent light bulbs and use 5 times less electricity – score! Make sure you keep them clean as dusty light bulbs absorb more electricity and are less efficient. 9. Switch off the TV and play board games or other group games that get you giggling, read a book, play an instrument, prepare a show or concert for your friends or family or learn something new! Enjoy the festive season and see you in 2015!! Q. How do I become a freelance or autonomous worker in Spain? A. In order to register in Spain as autonomo, you must be in possession of an NIE certificate. If you are an EU citizen, then this along with your passport is sufficient. If you are a non-EU citizen however, you must have a work permit which enables you to work freelance. You will need to register as a freelancer for both tax and social security at the Agencia Tributaria or tax office, for a particular activity using the applicable codes (epigrafes). Additionally, you need to indicate the applicable ongoing tax obligations (income tax, VAT etc). Some professional activities (e.g. education) are VAT exempt, so it is important to indicate such when registering. Once you have registered for tax, you will then need to register for social security using the appropriate form and including a copy of your tax registration form. You will need to file income tax (IRPF) and VAT (IVA) usually four times a year per each quarter. Find out more here about becoming a freelancer and contact us to arrange your registration for you. Peter Pan interpreted by the award winning dance company Ananda Dance in Valladolid. 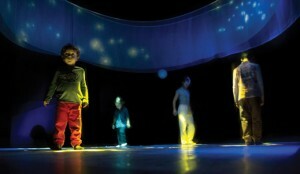 Also for the benefit of all ages is the interactive dance performance Bleu! where you will be submerged into a magical under-the-sea adventure with a water nymph and sailor, who, aided by sounds, light shows and shadows, will take you on a virtual trip to the bottom of the Mediterranean Sea where you will be marveled by among other things, floating jellyfish and playful sea life. Children will also have the opportunity to become part of the performance by interacting with the dancers and other objects found at the bottom of the sea. The performance, held at the La Abadia Theatre in Madrid, will run until January 4th, 2015. Click here for tickets. 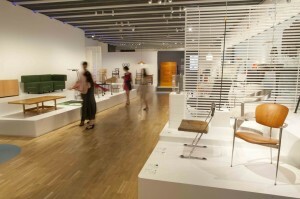 New depth is also explored with the opening of the Disseny Design Museum in Barcelona. This space, which opened its doors on the 4th of this month, is dedicated to decorative art collections, graphic design and fashion in the breathtaking Disseny Hub building. To celebrate the museums’ opening, visitors can benefit from FREE entry until the 31st of January Click here for more information. 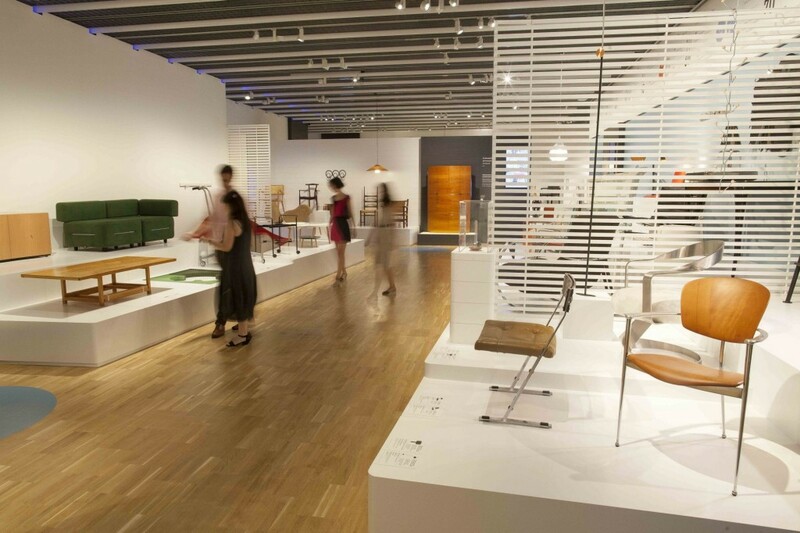 The new Disseny Design Museum in Barcelona is free to visit until January 31st. The IRS has streamlined their tax service to facilitate voluntary reporting of offshore financial activities. The IRS makes significant variations to its offshore disclosure procedures to encourage U.S. taxpayers with foreign financial assets to comply with their tax obligations. Earlier this year, on June 18, the IRS pronounced major modifications to its offshore voluntary compliance programs, providing fresh opportunities to aid taxpayers residing both overseas and in the United States. The changes are projected to help thousands of people to comply with their U.S. tax obligations. Modifications were made in response to public remarks that the current program needed a track to compliance for individuals whose failure to report offshore accounts was not willful. 3. Delinquent Report of Foreign Bank and Financial Accounts (FBAR) and delinquent international information return submission procedures. Notably, both paths are a one-way street. Once a taxpayer makes a submission under the streamlined program, the taxpayer may not participate in the OVDP. Likewise, a taxpayer who submits an OVDP voluntary disclosure letter on or after July 1, 2014, is not eligible to participate in the streamlined program. To avoid creating a larger problem, taxpayers should pick their path to compliance judiciously with the advice of experienced tax counsel. • File FinCEN Form 114, Report of Foreign Bank and Financial Accounts (FBAR) (formerly TD F 90-22.1), to report a financial interest in, or signature authority over, one or more financial accounts in a foreign country with an aggregate value of more than $10,000 at any time during a particular year. A trap for the imprudent, the obligation to file an FBAR applies to a U.S. person, a word that includes not only citizens and residents, but also an entity, including but not limited to, a corporation, partnership, trust, or limited liability company (LLC) created, organized, or formed under the laws of the United States. Two other IRS compliance paths are procedures for (1) delinquent FBAR submissions and (2) delinquent international return submissions. According to the IRS, taxpayers who are not required to use either the streamlined filing compliance procedures or the OVDP to file delinquent or amended tax returns to report and pay any additional tax may use these procedures. 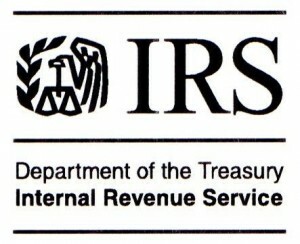 Finally, it is important to mention that the IRS has made significant changes to the OVDP, which is now referred to as the “2014 Offshore Voluntary Disclosure Program.” The changes are found on the IRS website in the IRS Offshore Voluntary Disclosure Program Frequently Asked Questions and Answers, effective for OVDP submissions made on or after July 1, 2014. One key change is a new 50% offshore penalty that applies if either a foreign financial institution at which the taxpayer has or had an account, or a facilitator who helped the taxpayer establish or maintain an offshore arrangement, has been publicly identified as being under investigation or as cooperating with a government investigation. This new penalty likely changes the calculus for taxpayers with accounts (including closed accounts) at banks that are either cooperating with the DOJ or are under investigation. 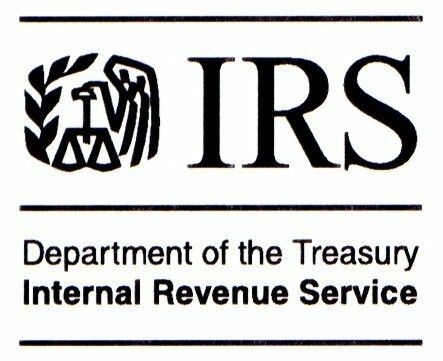 These expanded options for U.S. taxpayers underscore the IRS’s continued enforcement efforts aimed at U.S. taxpayers who have unreported foreign-source income. Taxpayers with unfiled foreign bank account reports or unreported income from offshore accounts would be wise to seek the advice of competent tax counsel, who can evaluate the case, explain the options, and develop a defense strategy. Practitioners should be familiar with the new procedures so that they are prepared to advise clients how to solve these problems. Please contact us here at Spainwide to help you with your US tax declarations, we’d be happy to help you. Spain’s protectionist attempt at taxing news aggregators such as Google, for linking to Spanish News sites has dramatically backfired leaving Spanish news publishers cut off from Google’s immense traffic of 10 billion clicks to publisher websites per month. Hoping to reap €80 million a year for the Association of Editors of Spanish Dailies (AEDE) effective from January,the AEDE will now not see a single cent for its troubles. Furthermore, the publishers will feel the repercussions of the lost 10 billion click-throughs a month translated in lost Adsense revenues. Rather than fork up the fee, risking fines of up to €600,000 and preventing a liability lawsuit, Google has decided to take the Google News product out of Spain. Publishers will now lose out on major traffic referrals and Spanish publishers are being taken off Google News internationally. Ouch. 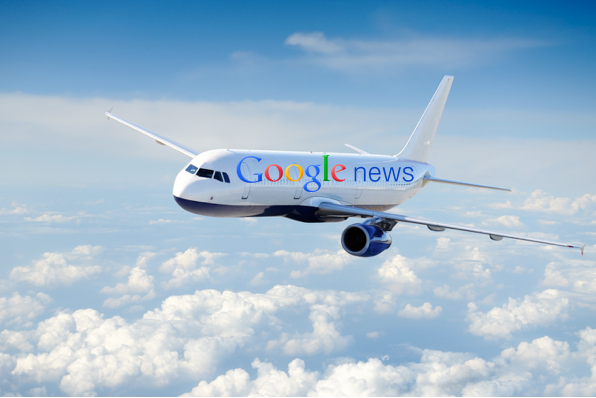 What do you think about Google News leaving Spain? Will it really make a difference to Spanish publishers? Are you happy that Google has been somewhat cut-off – or is it the other way around? Please share your thoughts in the comments! Back in 2013 the Offshore Leaks report, the crisis in Cyprus and the US Senate’s probe of Apple’s tax affairs injected renewed urgency into a global effort to crack down on aggressive tax avoidance. In fact, governmental authorities alleging that Apple had avoided billions of dollars in taxes shone an unforgiving spotlight on the international tax system and the concept of Controlled Foreign Corporation. Well, now the G20 came together mid-Novemberto agree to share tax information with other countries’ tax authorities decided at the Global Forum on Transparency and Exchange of Information for Tax Purposes. How are U.S. expat entrepreneurs and Apple corporation similar with regards to offshore tax rules? 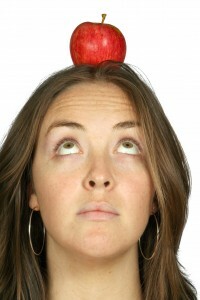 So, how are Apple tax woes relevant to US individual expatriated entrepreneurs? Well, the reality is that the rules to determine the tax consequences for businesses like Apple are very similar to the rules US persons who are shareholders of a foreign corporation have to comply to. Both their income can potentially be accumulated and shielded from U.S. tax until distribution. Specifically, a U.S. person who owns stock in a foreign corporation is not subject to U.S. tax on income earned by that foreign corporation until these earnings are repatriated in the form of a dividend distribution. As a result, a U.S. person can accumulate earnings in a foreign corporation free from U.S. income tax. Therefore, the exchange between Apple and the US Congress, and the coming G8 summit in Northern Ireland should be of interest to anyone involved in outbound US taxations. 1/ What are the implications of failure to comply to the reporting rules for CFCs? It is important to keep track of ownership throughout time because controlled foreign corporations tax implications affect taxable income, earnings and profits and foreign tax credits to name a few. Establishing an effective accounting documentation system can significantly cut the consulting and preparation time. Additionally, there are steep penalties (a potential minimum of $10,000 per year) for not filing. The required forms to files are mandatory even though no tax may be due. 2/ What are the required forms to file? 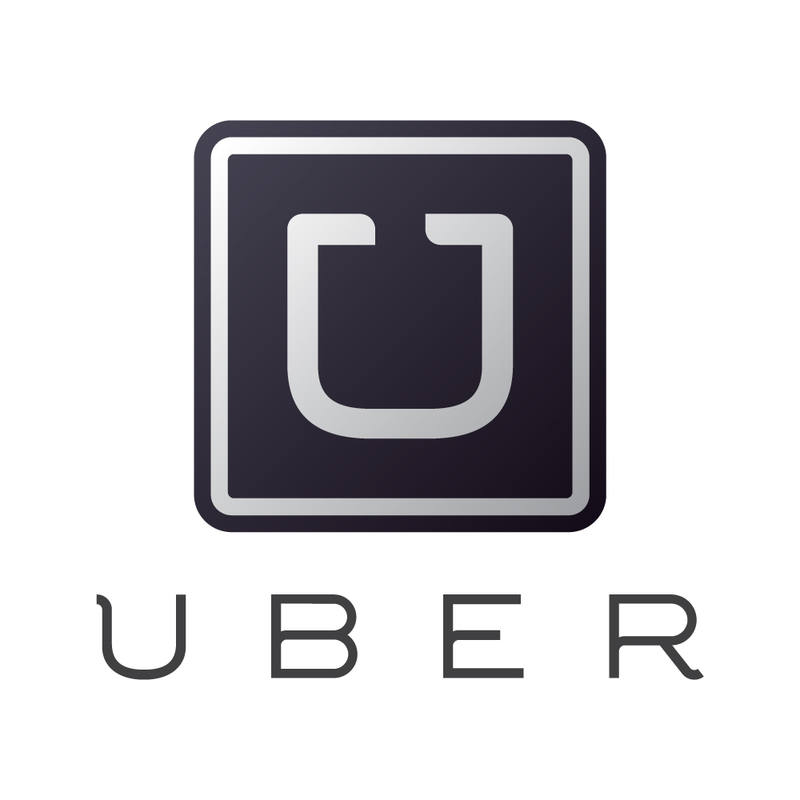 3/ When will a US person be deemed to be a shareholder of an Controlled Foreign Corporation and be required to file a 5471 form? In a straightforward situation, a US person who owns more than 50% of foreign corporation would generally be required to file such a form. That’s generally the example of a US entrepreneur or consultant living and operating a corporation outside of the United States. The process, however, becomes a lot more difficult when the foreign corporation deviates from that form of ownership in terms of percentages. 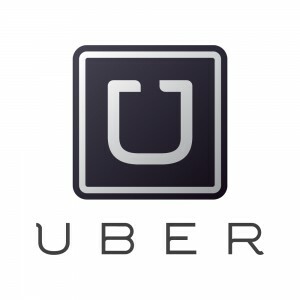 For example, a US shareholder owning only over 10% of a foreign corporation can be liable should the foreign corporation be owned by more than 50% by other US shareholders (who also own 10%). Transactions of the stocks of the foreign corporations during a tax year and attribution rules can easily complicate the determination of what and how to file. 4/ What can a US person do to facilitate the filing process? Income statements and balance sheets converted in US dollars using the Generally Accepted Accounting Principles in the US. If there’s any lesson to learn, Controlled Foreign Corporations under the US tax code poses unique challenges at every level of US taxes to corporation and individuals. To gain a minimum understanding of the complexities related to CFC income and obtaining some fundamentals can prevent an expatriate from making costly mistakes. Are you a US expatriate entrepreneur and would like help with your US Tax declaration and filing? Please contact us at Spainwide today (using the contact form or calling us on the above number) to see how we can assist you with your US Tax obligations. China has just launched the complete new cargo transport route “Yixin’ou” connecting Yiwu, China’s eastern wholesale capital nicknamed China Commodity City, straight to Madrid via Central Asia. The first train trip arrived last Tuesday with the 82 container train travelling 13,000 km over 21 days. The longest China-European train line to date, this new cargo route is the ideal new Silk Road for China but also for European companies wanting to trade in China. EU-China trade is valued at over $1 billion per day and the new rail road is expected to give trade a further economic boost. Longer than the Trans Siberian rail-road which is 9,289 km long, the new cargo line is impressive and a huge asset to inter-continental trade. It passes through eight different countries from China, Kazakhstan, Russia, Belarus, Poland, Germany, France and finally its terminus, Spain. However, cargo must currently be transferred to different train wagons three times during the trip, due to incompatible train gauges (Russia and Spain use broad gauge tracks), raising transport costs. The train line has reduced dependence on slow sea and costly air transport, improving transport efficiencies and reducing carbon emissions, but is still costlier than maritime transport. Despite this, test runs of the route earlier this year up to Central Asia brought in $39 million in trade for Yiwu. Having met Rajoy on September 26th, Chinese president XI Jinping is keen to continue forging a close relationship with Spain, with 2015 marking 10 years of Chinese-Spanish strategic partnership, he encouraged Spain to participate in the train line. Spain plans to export agricultural goods to China using the train line. If you need help with your trade and logistical needs, please feel free to contact Spainwide on the number above or by using the contact form. Mr. Brainwash debuts in Spain, nature is unleashed in “Genesis” & Santiago’s foodie-phenomenon pilgrimage, all prequel the Spanish holiday season. As the holiday season approaches in Spain, some would argue it’s already here, one is faced with a banquet of social options: from pop art exhibits, to the 20th Anniversary of GQ Spain or from explosive photography to routed gourmet pilgrimages… This month is jam packed with goodies. 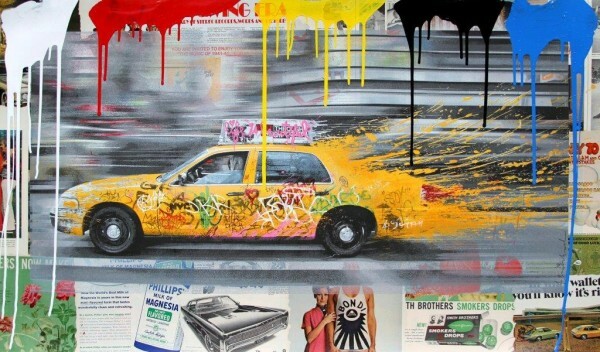 Barcelona warms up November by presenting diverse works of the visual artist Thierry Guetta, also referred to as Mr. Brainwash. Guetta of French origin, is mostly known for his documentary “Exit Through the Gift Shop” in 2010, which was directed by Bansky, and also for his pop-oriented serigraph portraits of among others Kate Moss and Madonna, for whom he created the cover art of her 2009 album “Celebration”. A collection of his diverse and most representative works will be shown at the Sala 3 Punts Gallery, starting on the 14th of November and will run until the 17th of January 2015. This is the urban artist’s first exhibit in Spain. The Catalonian capital will also host Brazilian artist Sebastiao Salgado and his hypnotic photography exhibit “Genesis” at the Caixa Forum. The exhibit features nature unleashed depicted on paper; photographs of animals, landscapes and people far removed from modern settings. 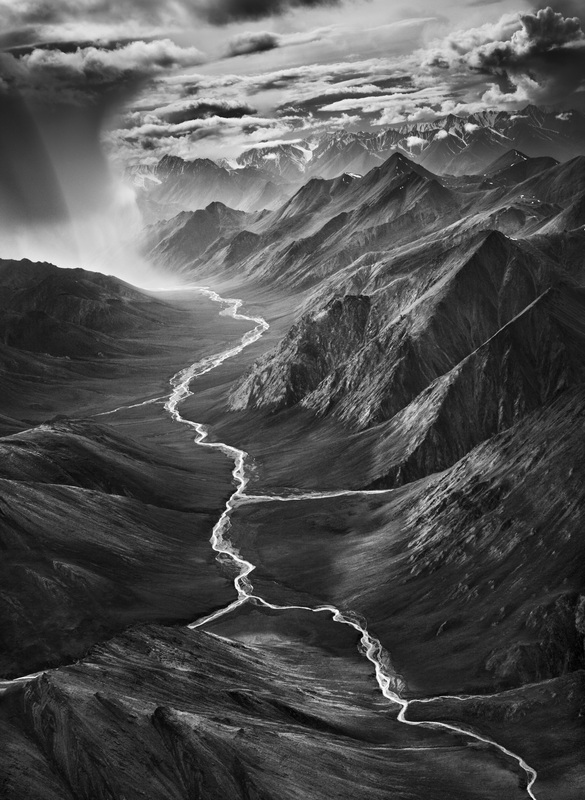 Photographs that “look toward the origin of life itself in a planet that has evolved for thousands of years.” Salgado received the highly respected and much coveted Prince of Asturias Award in the Arts in 1998. The exhibit will run at the Caixa Forum Barcelona until the 8th of February 2015. This month also celebrates the 20th Anniversary of GQ Spain with the fashion exhibit “Man in Progress” at the Museo del Traje in the country’s capital. 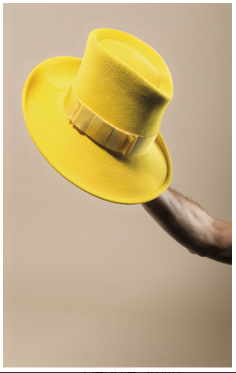 The exhibit, which runs until the 11th of January 2015, features a collective of 20 years of male fashion and its icons. It displays pieces that range from Daniel Craig’s tuxedo designed by Tom Ford and worn in the James Bond 007 Quantum of Solace film in 2008 to the Dolce and Gabbana suit created for Lionel Messi with which he received the Balon de Oro (Golden Ball) in 2012. Finally, Galicia puts the icing on the proverbial cake as seven of its cities host different gastronomical events in the “De Tapas por Galicia” (Tapas Around Galicia) event. Within this foodie paradise, taking place from the 6th to the 23rd of November, is Santiago de Compostela’s gastro pilgrimage, where one can travel Santiago’s own routes of gourmet experiences. The event is also hosting a contest where the participant can upload a photograph of their favorite ‘tapa’ to win dinner at a Michelin rated restaurant. For more information visit www.detapasxgalicia.com.